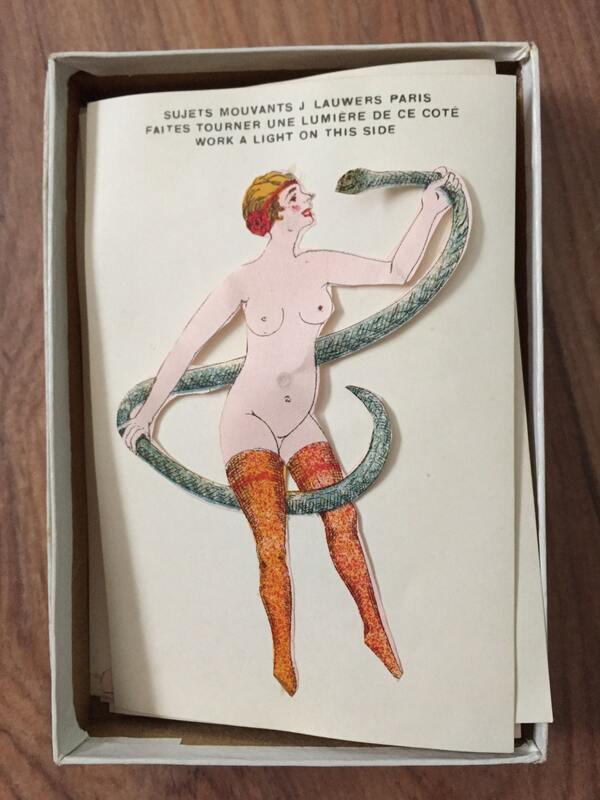 French saucy risqué vignettes of ladies in various states of undress hand coloured and mounted on paper. 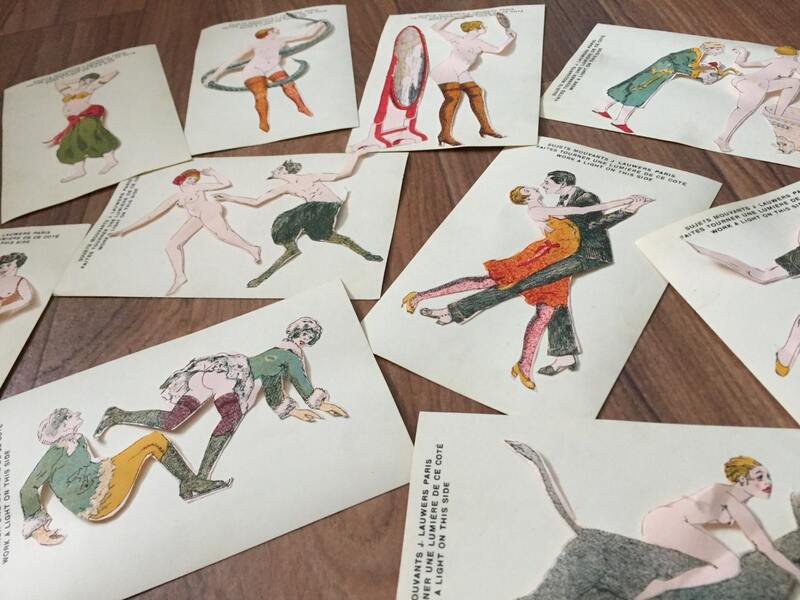 Incredibly rare collection of 10 naughty French scenes on paper. These are innocent saucy vignettes you still might find on saucy postcards at seaside shops everywhere. Made at a time when life was a little more gentile. The size is 9x14 cm and come in a cardboard box.